COMEX 2014 returns today till 31 August 2014. Looking to get yourself a new camera. 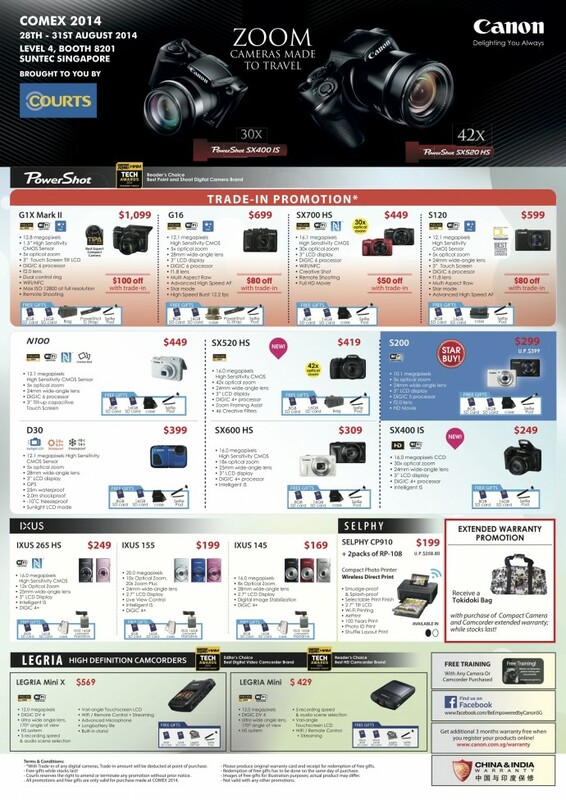 Check out these offers from Canon at Level 4 Booth 8201 at Suntec. 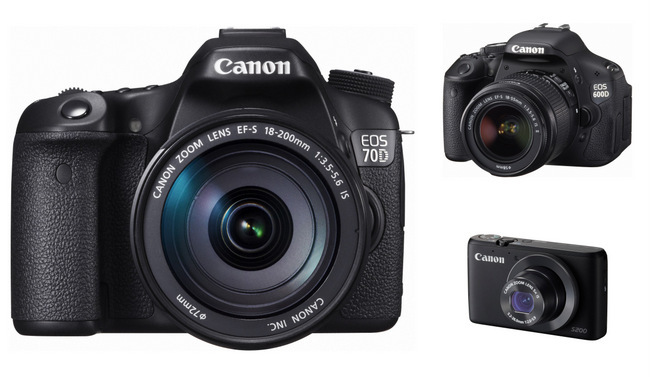 The Canon EOS 70D DSLR camera offers a kit from S$1699 to s42149 depending on the type of lenses in in the kit. You can also trade in any digital camera and get S$150 off your purchase. Free gifts include an EOS Bag and an 8GB SD Card. The Canon EOS 600D makes a good entry level DSLR camera if you have just gotten a bit more serious in photography and want to upgrade from a compact digital camera. The twin lens kit with EF S18-55 IS II and EF S 55-250 IS II is priced at S$949 instead of S$1049. You also get a S$50 cash back, EOS Bag, 8GB SD Card and EOS 600D User Guide. The Canon PowerShot S200 point and shoot digital camera will be available at COMEX 2014 at S$299 instead of the usual S$399 and it comes with a case and 8GB SD Card. Check out the other Canon Camera offers below.